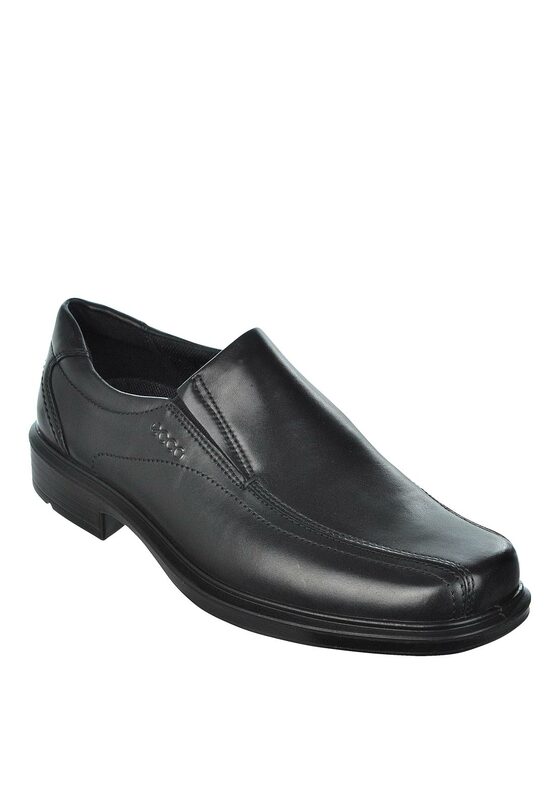 The Helsinki slip-on shoe is a sleek leather shoe by Ecco and comes in black. Textile lining absorbs moisture and allows feet to breathe naturally. Removable insoles with innovative ECCO Comfort Fibre System for constant airflow. Shock absorbent sole for active comfort.